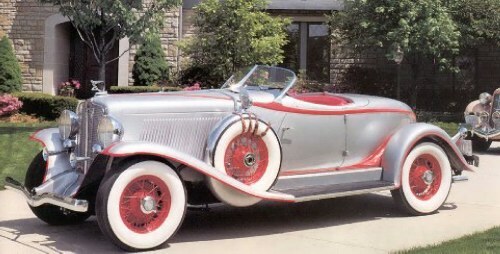 song playing "Beer Barrel Polka "
was producing a variety of great cars. 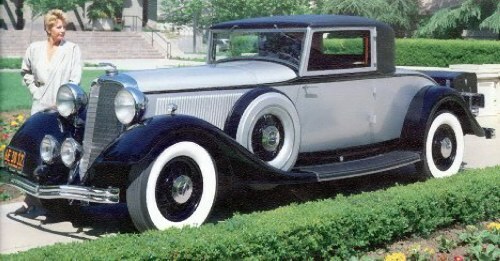 Body was custom built by Le Baron Coach works. 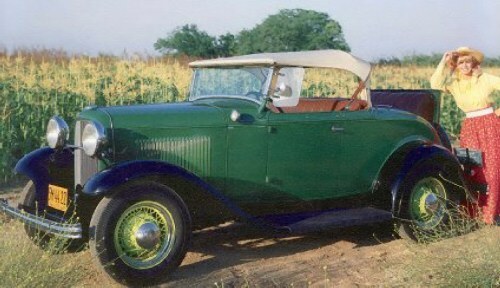 mechanical brakes, four-speed transmission, and shatterproof glass. many Americans couldn't afford one. Price new $2585 - Can sell for up to $145,000 in fully restored condition. as outside. An engine-turned dash panel held a group of round and fan-shaped gauges. 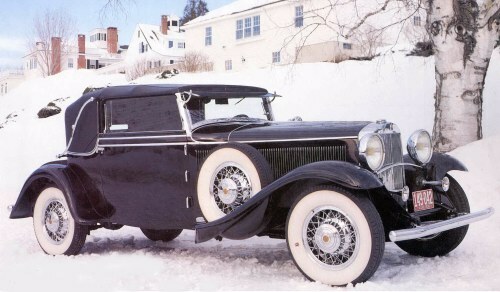 no hood ornament points the way, as in conventional 1930s cars. by a number of U.S. makes including Cadillac in a year or two. 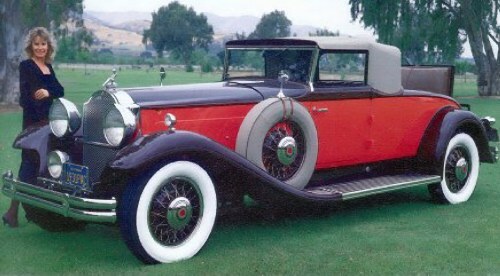 with these problems simply because the cars were so drop-dead gorgeous. found and brought back to as-new condition, so finding a "project" car isn't easy. 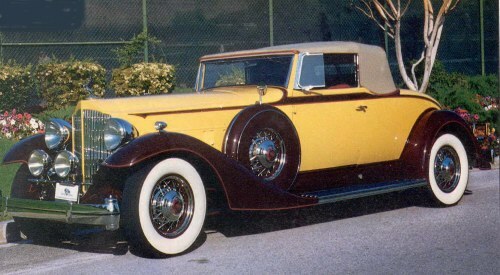 Cadillac was the "classic-era" design with bodies by Fisher and Fleetwood. four rubber cushions, cooling system with condenser tank, and metal floorboards. The six wire wheels, the spares side-mounted, was a $240 option. polished burl walnut. 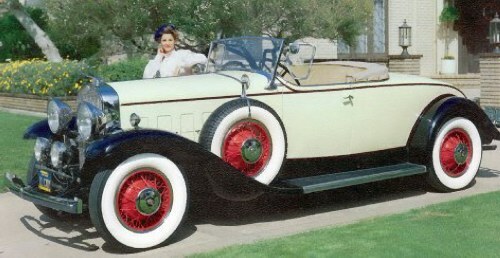 Car also has the rumble seat trunk compartment. but that was in 1932. 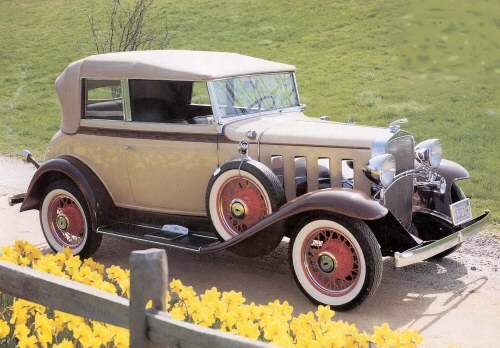 This is one of only two coupes with a rumble seat. engine mounts, hydraulic shocks, and a 110 mph speedometer.